The French Senate recently published a report on bitcoin which warned that a continued focus on the digital currency’s risks could distract from its true potential, especially its “nearly inexistent” transaction fees and robust security. Though the document calls for some level of state regulation, it seems fair to say that the French government’s approach to bitcoin is becoming increasingly positive. But do changes at Senate-level reflect a real shift in French attitudes towards digital currencies? Is bitcoin really catching on in the country? “The ecosystem isn’t really developed yet, but the scene is starting to shake up,” bitcoin advocate Thomas France told CoinDesk. If anyone were to know about it, it would certainly be him: he co-founded the Association Bitcoin France (ABT) alongside current president Philippe Rodriguez. He is also part of the team behind La Maison du Bitcoin, Paris’ bitcoin advocacy centre. The only centre of its kind in Europe, the 220-square metre space opened on 13th May in the heart of the city. It houses several co-working spaces and one of France’s two bitcoin ATMs, alongside monthly bitcoin meetups and regular bitcoin 101 events. Importantly, the centre is open every working day for anyone wanting to learn more about cryptocurrencies. While definitely promising, events like this still remain anecdotal: the interest may be here, but it hasn’t yet turned into a more concrete reality. Ranking 4th behind the US, Germany and the UK, France has 5.18% of the world’s bitcoin nodes (the relay points that store, verify and transmit transactions across the network). The country comes 8th in the world for the number of people who have downloaded the original bitcoin client in the past year. Despite this, the country lacks brick-and-mortar shops accepting the cryptocurrency: the total figure (as listed on CoinMap) is known to be over 40 but almost certainly below 100. 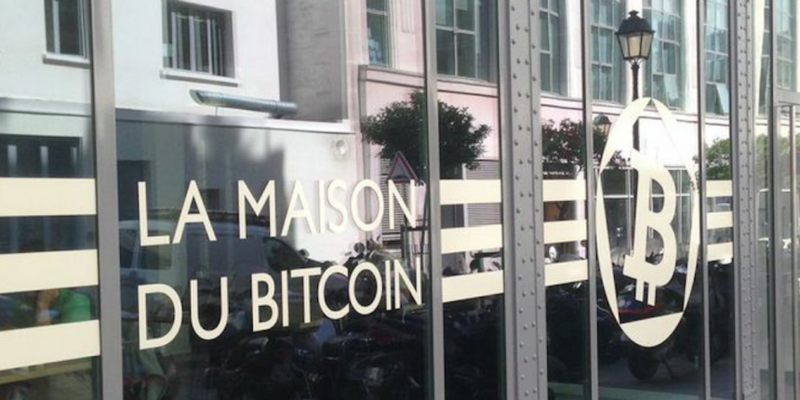 This doesn’t keep Thomas France from being optimistic about the future involvement of businesses: there are, he says, a lot of shop owners visiting La Maison du Bitcoin in order to learn more about the technology. This includes a restaurant in the same street as a building, which recently started accepting the currency. Though Rue du Caire has seemingly become the nation’s bitcoin hub, this doesn’t mean the rest of France hasn’t been doing some catching up. There are frequent bitcoin meetups in Lille, Bordeaux and Toulouse among other destinations, and there are several communities of miners scattered across France. 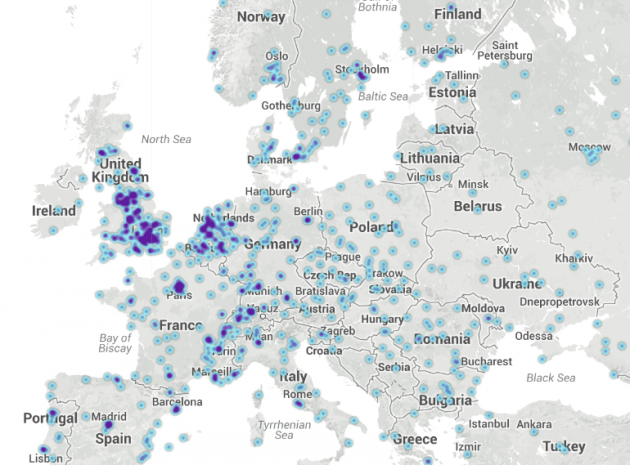 A quick look at CoinMap also shows that some local businesses have started accepting bitcoin in smaller towns: they are still few and far between, but a beginning nonetheless. France’s small but steadily growing community may have hit a road bump, however, given recent bad press in the country’s media. The first issue arose on 7th of July when two people were arrested and an illegal bitcoin exchange was dismantled in Cannes and Nice. The police seized a portfolio of 388 bitcoins, in what was the first ever judicial action resulting in the closure of an illegal exchange for virtual currency in Europe. Less than a month afterwards, on 4th August, Le Monde ran a comprehensive piece on the multiple failings of Mark Karpeles, the (Gallic) man behind the downfall of one-time biggest bitcoin exchange Mt. Gox. The newspaper found that before his short-lived career in bitcoin, the CEO had been sentenced to a year in prison and €45,000 in damages to his ex-employer on hacking charges. Though both these stories involve outright criminal behaviour rather than anything that would be considered normal bitcoin activity in the community, the harm may have already been done. Given that cryptocurrencies being used as intended will hardly make headlines, negative articles may well be the only things many people have heard about bitcoin. The idea of a virtual currency, in its current state, may already only appeal to a minority, and negative coverage from mainstream outlets probably do not help. This is where today’s Senate report could come into play: showing that virtual currencies are safe enough to receive some level of backing from the government may be all that is needed to regain some public confidence. This will likely happen before the end of the year, but in the meantime, bitcoin in France may remain the hobby of a minority for a little while longer.